The purpose of this app was to invite models and advertisers at one place. Both parties gathered in one event, In the event advertisers select model for their ads and commercials. 2 types of models come in the event , free and who have paid membership. This application is beauty based for women. It is designed for iPhone and android platforms. The application is easy to install through and does not require much storage space from phone memory. This application targets the models and advertisers at a time. 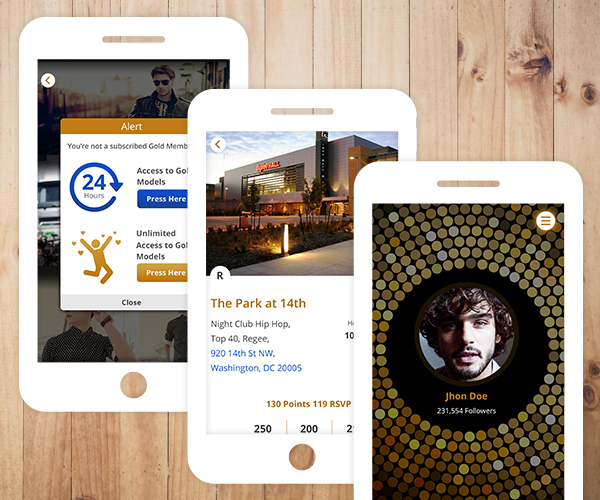 We designed this application in a way that models and advertisers can gathered in one event. The models can upload their images and the advertisers can select the model for their beauty products advertisement. The application has different feature to increase the beauty of their images and can share with advertisers. In the application there are two options of model to get connected with the advertiser, one is for the member and another is for the one who paid for it. The experience of this application by users is appreciated and of good rating which shows that users are enjoying this application. We also developed the updated version for this application with additional features.